« Alice? Who the fu-… no, wait, we know who she is. Now before I get attacked by a slew of condemnations and recommendations about The Golden Girls, or Faulty Towers and the such, let’s all remember that entertainment is subjective. It’s all a matter of taste. Especially when it comes to sitcoms, they are not high art, they are just there to entertain and numb your brain after a long day at work and a hot and sticky commute. So here are just some of the sitcoms I have enjoyed watching over the last few years. I can clearly remember years ago, being up at 3am (I must have still been in university) and this show came on. I’d never heard of it before and it was apparently a rerun of the first episode that had been aired earlier that day. So it was a family sitting around a table having breakfast. Pretty normal, up until it was revealed that the father of the family was naked, reading a newspaper at the table, while the mother was shaving his back with a hair trimmer. 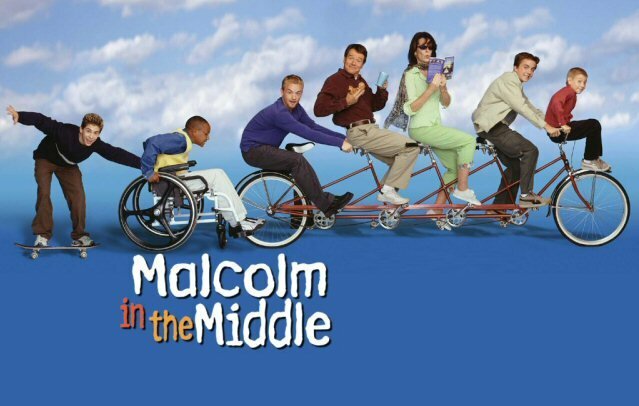 So I came to fall in love with Malcolm In The Middle. I think it’s most winning point, apart from the fabulously chaotic sense of humour and the chaos theory narratives, has to be the fact that they have made misery funny, especially in latest episodes I’ve seen, where both the parents are now unemployed. One night, quite a few years ago now, my brother called me into his room to see something hilarious. I stared at the screen for several minutes, afraid to laugh, scared that what I was watching was true, terrified that somewhere out there, this man is a real person. 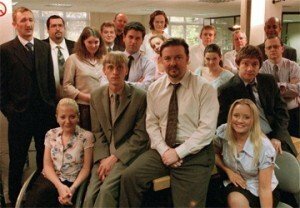 It was David Brent, series 1 episode 1 of The Office. Apart from picking up where Larry Sanders had left off all those years ago, this comedy of cringe became all the more enjoyable as it went on. And it reached its pinnacle for me when the relationship between Dawn and Tim is finally resolved. I cannot possibly say whether or not they get together at the end of the series, because there may be someone, in a cave presumably, that has not seen it yet, but what I can say is that I cried. Arrested Development has the essence of the show’s humour right in its title. Puns seem to run through this sitcom so often, it is like reading a restoration comedy play or a Terry Pratchett comedy fantasy novel. Each of the characters is inspired and completely unsavable, except perhaps for the kids, which just makes us enjoy the adults’ suffering even more. As the plot takes one improbable twist after the other you cannot possibly guess where it is going. King of the whole Larry Sanders, Extras, famous people playing themselves sitcom, has to be Curb Your Enthusiasm. 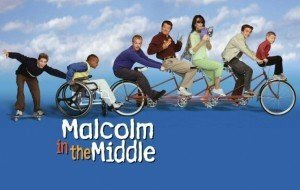 Keeping the number of famous people on the show steady, and giving them a chance to actually develop as characters throughout the episodes, this Jewish comedy gem loves to play with political correctness and stereotypes and manages to do so with excellent style. 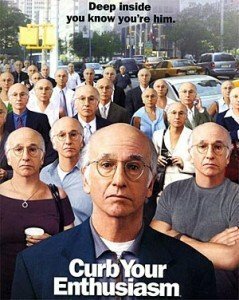 You cannot possibly help but feel sorry for Larry David, playing himself, in situations that he has probably experienced, just as his character says he has done with Seinfeld. 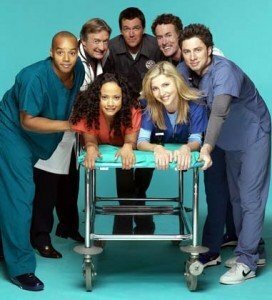 Finally, and although I know most people will never agree with me, my favourite sitcom for the last few years and at the moment, has to be Scrubs. This is why I don’t want to get into a whole conversation about what is the best sitcom. I have friends who are directors and find it completely juvenile and stupid. But I love every second of every episode of the show. Dr. Cox’s insulting monologues, JD’s daydreams, the janitor’s revenge tactics, and of course all the falling over. It seems like an innocent style of comedy that was lost long before Friends ever came on the scene. And the final aspect of the show that makes it stand out so much to me, is the fact that it manages to draw comedy from the most dire of stories, while at the same time not going for cheap emotion. The characters grow from series 1 to series 7, their lives and problems change and they have to deal with it. That’s just five off the top of my head. Having written this now, more instantly pop into my head like Green Wing, perhaps the most surreal and out there series ever, and Pushing Daisies which is a masterpiece as far as production design and cinematography is concerned, but I cannot keep going on forever or this post will turn into a book. There’s lots of top 5s or top 10s out there, so you can treat it like one of those if you like. All of these series are out there, either available to view online or to buy at Amazon or eBay or at a shop near you. Put an episode on and let it chase your troubles away.